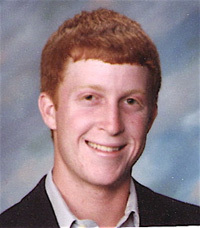 As a junior in the spring of 2009, El Camino Real High golfer Dan Slovis made a 20-foot birdie putt on the third playoff hole to win the City Section individual golf championship at Griffith Park's Harding Course. Daniel shot a final round of 70 to make-up three strokes and force a sudden death playoff. It was a par-4 hole, and he drained the championship winning birdie putt. Slovis is favored to defend his championship in the spring of 2010. He has committed to attend Sonoma State College.